This book is indispensable where problems of immigration and legal standing, juvenile vs. adult criminal status, and responsibilities of law enforcement to protect vulnerable persons are key issues on a daily basis. 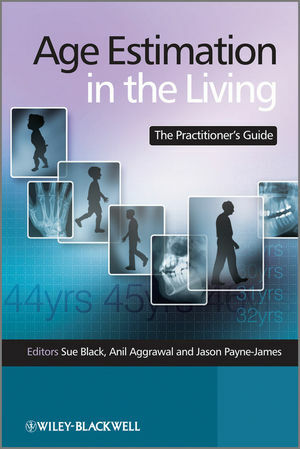 Medical practitioners, forensic practitioners such as pathology, odontology, anthropology and nursing, lawyers, and police would find this book incredibly useful. Professor Sue Black is one of the worlds leading experts in Forensic Anthropology. She has received many accolades throughout her distinguished professional career including an OBE presented by Her Britannic Majesty for services to Forensic Anthropology in 2001. Professor Black developed the first undergraduate training course in forensic anthropology and the first postgraduate course in human identification in the UK. She is very well known to the media and has taken part in several television, radio and other media related programmes. Professor Aggrawal is also founder and Editor-in-Chief of Anil Aggrawal's Internet Journal of Forensic Medicine and Toxicology. The journal is in its 8th year of publication and draws more than 2000 visitors daily from all over the world. Jason Payne James is a forensic physician appointed as a Forensic Medical Examiner to the Metropolitan Police Service and City of London Police. His work embraces four main areas drawing on his extensive medical, legal, forensic and education/writing expertise — legal and clinical forensic aspects of medicine; clinical nutrition; gastroenterology. He is a prolific author/writer. Jason Payne James established a company, with others; Forensic Healthcare Services Ltd (www.forensic-healthcare.com) a company providing expert witnesses (www.experts4law.com) for the criminal and civil systems and other bodies, and which also provides training in these areas.